BMW is preparing to launch the next generation of solely electrically powered models. Three of the brand’s electric models are currently going through a key phase of their series development process at the BMW Group’s winter test centre in Arjeplog, Sweden. Together with the BMW iX3 already due to go on sale next year, the BMW i4 and the BMW iNEXT, being brought to market in 2021, are also completing an intensive test programme. Within the framework of comprehensive vehicle testing, their drive and suspension components are being put to the test under extreme weather and road conditions. The testing area situated at the edge of the Arctic Circle provides the ideal requirements for this purpose. 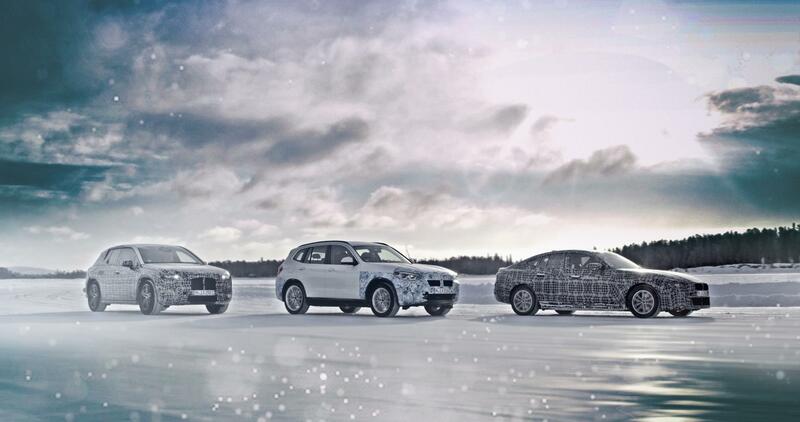 On the icy surfaces of frozen lakes, on snow and in the bitter cold, the electric motors, the high-voltage batteries and the power electronics of BMW eDrive technology as well as the suspension control systems are demonstrating their level of performance and reliability. The latest chapter of the BMW Group electrification strategy will be heralded by a Sports Activity Vehicle. Starting next year, the BMW iX3 will feature the fifth generation of BMW eDrive technology for the first time. A powerful electric motor and a high-voltage storage unit featuring state-of-the-art battery cell technology facilitate purely electric driving pleasure in a new dimension. With a range of over 400 kilometres and the possibility to use DC charging stations with a capacity of 150 kW to charge its battery, the first all electric SAV is ideally suitable for day-to-day use and long-distance travel. The BMW iX3 will be the first model produced for the entire global market by the BMW Brilliance Automotive Joint Venture at the Chinese production location in Shenyang. The BMW i4 four-door coupe is positioned in the premium midrange segment. Fifth-generation BMW eDrive technology featured by the BMW i4 facilitates a range of over 600 kilometres. Moreover, the electric motor’s spontaneous power development can be utilised above all to achieve a dynamic driving experience. The BMW i4 sprints from a standstill to 100 km/h in 4 seconds and reaches a top speed of over 200 km/h. It i4 will be produced at the BMW Munich plant starting 2021. With the proportions and dimensions of a luxury Sports Activity Vehicle, a fifth generation electric drive unit and systems for highly automated driving, the BMW iNEXT features BMW Group’s future modular construction system, and it combines the latest innovations in the areas of design, automated driving, electrification and services. It has a range exceeding 600 kilometres*. Read about BMW’s efforts to reuse old batteries here.